Physical Therapy in Flower Mound | We pride ourselves in providing one-on-one physical therapy to our patients. Learn how this treatment can quickly target pain trigger points and relieve pain. Thank you to our patients for this special recognition. Learn how this treatment can help improve strength faster after an injury. What Makes Joints In Motion Better? Learn about our team’s unique approach to Physical Therapy. We are located at 3301 Long Prairie Rd, Ste 125 in Flower Mound (northwest corner of FM 2499 and Sagebrush). Call us today to schedule an appointment. We look forward to working with you! Learn more about why patients choose Joints in Motion PT. Click here to get the forms needed for your first visit. Joints In Motion was recognized as the “Best of Denton County” by local residents. Thank you to our patients for this special recognition. It is an honor to serve this great community. Joints In Motion was voted among the top 10 Flower Mound Physical Therapists in 2015. A special thank you to all of our patients for this great honor. 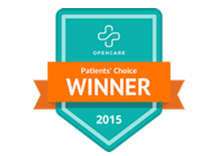 Click on Patients’ Choice Award Winner logo above to learn more. Eric Huffman (Joints in Motion owner) is a Titleist Performance Institute Certified Medical Professional. Eric is able to analyze common biomechanical faults in golfers and correct them quickly and efficiently to improve performance. Click on the TPI logo above or contact us to learn more. TRX Suspension Training is used by Joints in Motion Physical Therapy as part of some treatments. TRX is an effective program that leverages your own body weight as resistance, so anyone at any level of fitness can get a time-efficient, total-body workout. Contact us here at Joints In Motion to learn more.